Hunter’s Point South Park in Long Island City, NYC. 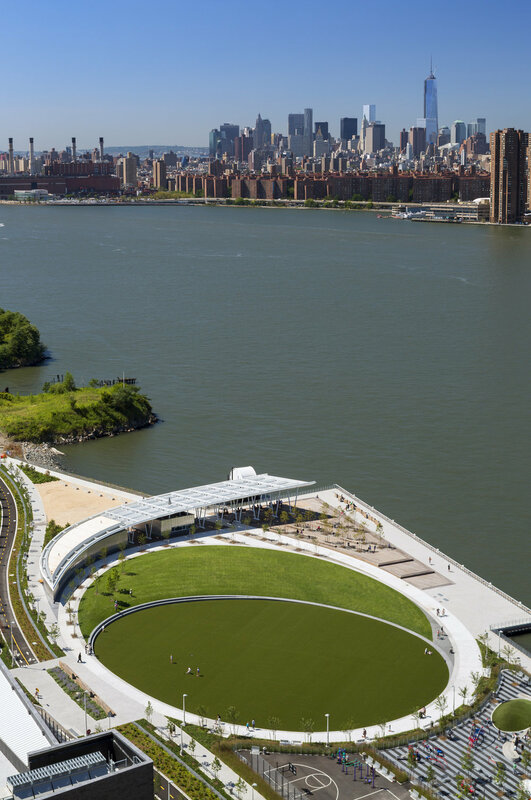 The second phase of Hunter’s Point South Park opened to the public this past week, creating 11 acres of continuous riverside parkland in Long Island City. 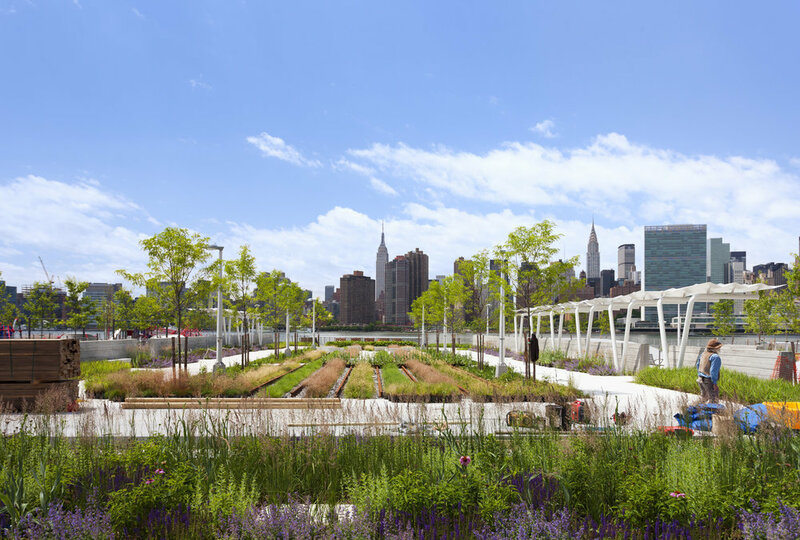 Architects SWA/BALSLEY and WEISS/MANFREDI teamed up to design the new addition after working together in Phase I of the park back in 2013.